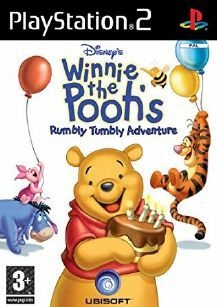 Join Winnie the Pooh and his friends on five birthday-themed adventures. In Winnie the Pooh Rumbly Tumbly Adventures, you can play as Tigger, Piglet, Eeyore, and Winnie the Pooh. Find as many honey pots as you can, but beware of the mischievous Heffalumps and Woozles, who steal honey. Whether you’re finding a new house for Eeyore or helping Tigger out of a sticky situation, you’ll experience all the adventures of Pooh and his friends in the Hundred Acre Wood.